In teaching, it is the staff that make all the difference to the quality of education that children receive. At IBSB we understand this, and take great care to select the best staff to ensure our students receive the outstanding educational experience they each deserve. Please see below all the members of our school staff. 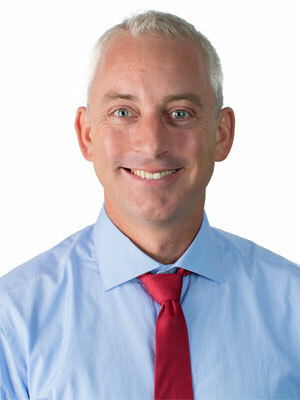 Kendall first joined IBSB in 2005 and after a period away returned as Head of School in 2011. He has taught in variety of situations including Primary Schools, High Schools, and at University Level, working as a teacher, senior teacher, Head of Department, Director, and Head of School. He graduated from Victoria University with a BCA in Marketing and Management and a BA in Economic History, before continuing on to study toward a Post Graduate Diploma in English at Canterbury University. He is currently completing an MA Educational Leadership at the University of Bath. As Head of School, Kendall is responsible for overseeing the day to day running of the school, ensuring that the school ethos and philosophy are imbued into every aspect of school life. He also teaches English and is a passionate advocate of debating and public speaking. Outside school, Kendall enjoys reading, swimming, running (occasionally), playing tennis, and trekking to far distant locations, such as Mt Everest, Mt Kilimanjaro, and Mt Kinabalu, located on the small island of Borneo. Ciprian first joined IBSB in April 2003, and after a year teaching at an independent school in the UK, returned to his new role as Deputy Head of School. He graduated from the University of Timisoara, from the Faculty of Mathematics, with a degree in Pure Mathematics and has completed his academic portfolio by gaining an Open University Management Degree. 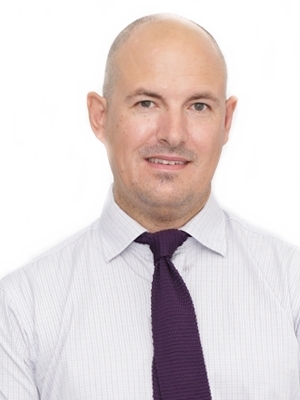 He has recently completed his Master Degree in Educational Leadership and with a keen eye for detail and excellent teambuilding skills, is a key member of the Senior Leadership Team. 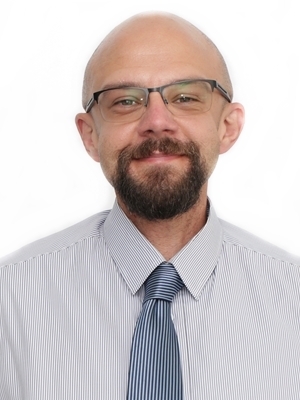 In addition to his various managerial responsibilities, Ciprian plays a pivotal role in coordinating student assessment and tracking, is directly involved in staff training and support, teaches Key Stage 4 & 5 Mathematics, and works with Neill Lee to assist students with University Applications. Alan originally joined IBSB in 2007, and is the current Head of the Primary School. 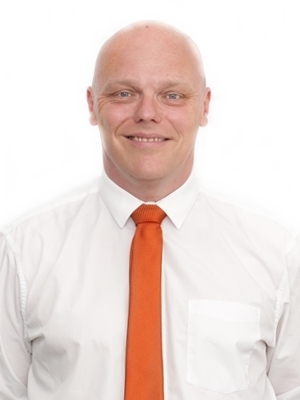 He is an experienced teacher from the UK, in his 20th year of teaching, having previously taught in Essex, near London, where he was deputy head at a school that was failing when he joined and was considered to be good by Ofsted standards when he left four years later. In 2014, Alan returned to England with his young family, but missing Romania and IBSB, returned in 2015 with a new zest for life and a clear vision for the future direction of the Primary School, built on trust and a desire to create a happy and purposeful learning environment. 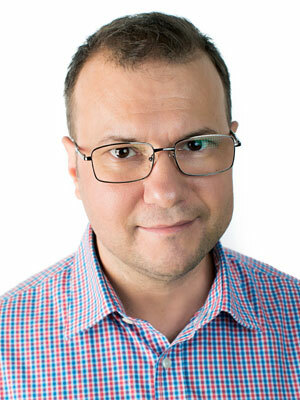 Alan has a passion for travelling, originally coming to Romania to experience a new culture and to explore Eastern Europe, he enjoys skiing and time in the mountains, swimming and reading bedtime stories to his children. Matthew joined IBSB in August 2017 as Head of the Secondary School. 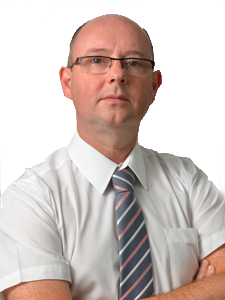 He is an experienced teacher of Science from the UK with 18 years’ experience in education. During this time, he taught in a selective boys grammar school in London, a school for the children of British military personnel in Cyprus, and a comprehensive academy in Worcestershire in the UK, before moving overseas again to the UAE where he was Deputy Head Teacher in charge of the curriculum. Whilst in the UAE, Matt was part of the team that successfully obtained both BSO accreditation and full CIS accreditation for his school. Matt enjoys travelling and has taken advantage of his time overseas to visit many different countries. He is also a massive Rugby fan and is a passionate supporter of Gloucester Rugby. 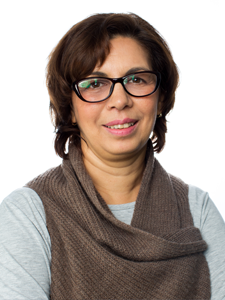 Manuela joined IBSB in 2010 with over twenty years of teaching experience from preschool to University Level. 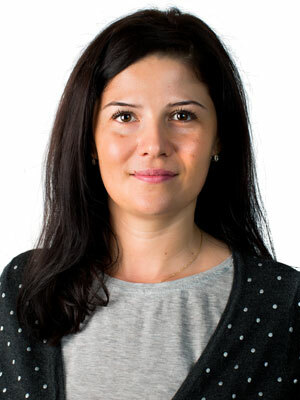 She has a double degree in Geography and English from the University of Bucharest and also studied for one year in Scotland, on a scholarship, at the Edinburgh University (1997), where she studied New Methods of Teaching English in Secondary Schools. At that time she worked as a teacher of English at Spiru Haret Secondary School in Bucharest and as an assistant lecturer in English at the Ecological University in the Faculty of Law. Then, in 2000, seeking a new challenge, she decided to teach preschool children and hasn’t looked back, completing Froebel Graduate Certificate in Early Years Education from Roehampton University in London. As a teacher, Manuela is continually striving to improve her teaching to create a fun learning environment for her children and her results show she has done this with a high level of success. Outside school, Manuela likes travelling and always makes good use of her holidays to do so. 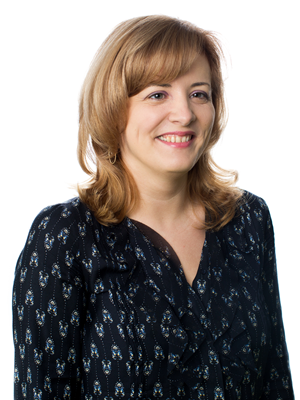 Having worked at IBSB from 2001 to 2010, Ioana in 2014 as a Head of Creative Arts and teacher of Spanish and Drama. During her first period with us, Ioana helped her students to achieve exceptional grades in A Level Spanish and contributed to life on campus in many ways, always willing to lend a helping hand.Well-liked by both staff and students, Ioana brings with her not only a warm friendly smile, but a wealth of experience to share with the students. She has taught English and administered CIE exams, is an exceptional classroom practitioner, and no doubt will become one of our most valued team members once again. Ioana is currently completing a MA in Alternative Pedagogy and Dramatic Arts, which mean she is the perfect choice to lead the Winter Production this year. Away from school Ioana enjoys spending time with friends, reading, singing, and performing and staging shows together with her drama group of artists and friends. Diana joined our team as a Secondary School French Teacher in 2007, taking on her role as the new Head of MFL in 2011, and as such is responsible for continuing the tradition of outstanding grades across all Modern Foreign Languages. 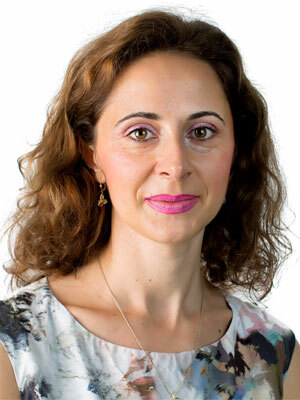 A graduate from the University of Bucharest, Diana has continued to develop her knowledge by attending seminars both nationally and internationally. In addition to her teaching responsibilities, Diana has also helped in organising and running the very successful Key Stages 4 & 5 Work Experience Programme. Diana has always appreciated the valuable conversations between students and teachers regardless of their mother tongue and is currently herself learning Italian- and rumour has it is planning a world tour in the future. This is now Rab’s second time teaching at IBSB as he was with us 6 years ago and he says he is glad to be back. Rab is from Glasgow in Scotland and taught in many schools there before moving over to Romania to teach internationally. Rab has a passion for Science and Magic and has used his skills to entertain and teach children, introducing the successful Science Week to the Primary School programme. Away from school, Rab is a keen climber and mountain biker and has recently started growing fruit in his new orchard down near Giurgiu. This is David’s 1st year at IBSB and his third overseas position, having taught for 13 years in total. 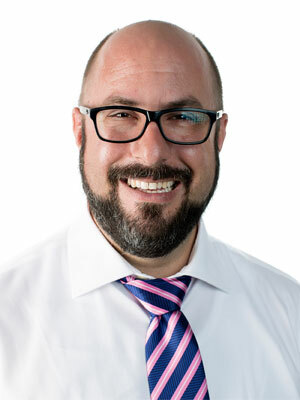 David will be teaching Computer Science and has extensive background and qualifications in information technology and programming. He has taught in a number of situations, including non-selective and high performance comprehensive schools and latterly an independent boarding school in the UK ranked 4th nationally. He has travelled to Bucharest from Stockholm, with his wife (a qualified primary teacher) and two children. His interests include sailing, flying, diving, and programming and he looks forward to helping the students at IBSB to progress in their computer science education. This is Orla’s 7th year at IBSB, and her first teaching position abroad, having taught in Ireland for six years before arriving at IBSB in September 2012. This year she will teach in Year 2. She has a degree in Irish and Geography, a degree in Education from Mary Immaculate College, Limerick, as well as a certificate in Special Educational Needs. She has taught in a number of situations, including Primary Schools, Secondary Schools, and Special Needs Schools. This year she is the PSHE Coordinator, as well as the Coordinator for Art and Charity links within the school and an important member of the Middle Leadership Team. Her interests include sports, especially the Irish native sport of hurling, which she is hoping to share with the students here at IBSB in the hope that it will become a new national sport. She also enjoys reading, travelling, and collecting stamps from around the world! Lucretia joined us this year as our new German teacher in Key Stage 2, but she also offers Japanese Language and culture for beginners as a club. She has a Bachelor’s degree in Foreign Languages and Literature – English and German and postgraduate studies in Intercultural Communication – Japanese major, Romanian minor. As part of her process of becoming a teacher, she completed her studies with the pedagogical modules, levels I and II. She also attended several foreign languages and education conferences and trainings to hone her language skills and she is another example of the high quality of linguistic teachers here at IBSB. Lucretia loves talking in German with her students, it is the best way to learn a language. She is a creative and ambitious person who wants to share her knowledge through attractive and creative methods. Her hobbies are: fashion, playing the guitar and reading psychology books. 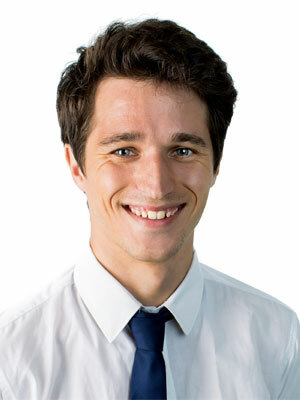 James joined IBSB in 2017, having taught in Hong Kong for five years. He is originally from Grimsby in the the north east of England, and attended Essex University where he specialised in the history of philosophy for both his BA and MA. Outside of school, James is a keen climber and has run some trips to local climbing walls. He also has a passion for music and enjoys playing a variety of string instruments, including the guitar, mandolin, and banjo. Alison is from London, her father was in the British Army so she attended boarding school in Sussex, England from the age of 9-18 and lived abroad in a variety of countries (Brunei, Germany, Cyprus). She met her husband at University and has lived and worked abroad in Cyprus (again!) and the UAE. Her previous career experience is in the field of Human Resources, Recruitment and Administration and she started working in education in 2013, because she feels the education sector is a challenging, rewarding and inspiring area in which to work. Imparting knowledge and helping to teach new skills is incredibly important and fulfilling. Alison has three children who attend the IBSB Secondary School. In her free time she likes travelling, experiencing new cultures, learning new languages and her whole family love animals. 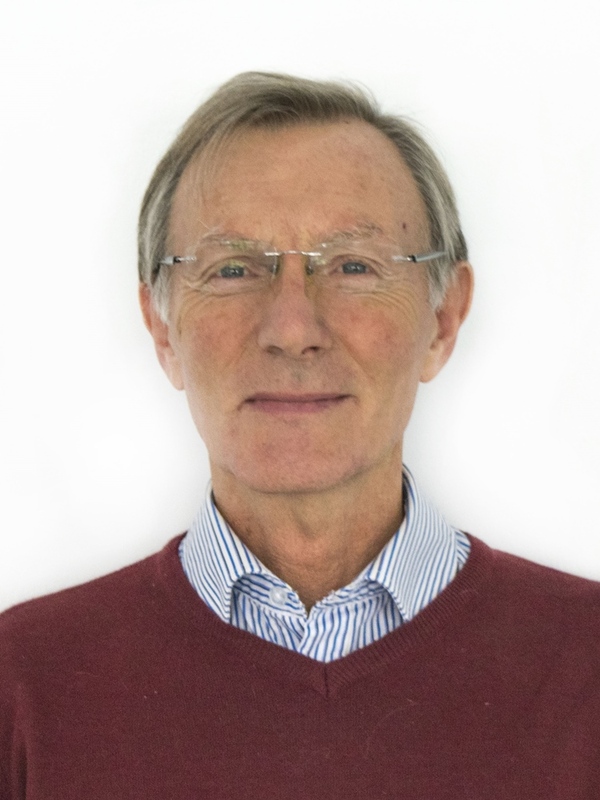 Geoff hails from Manchester and enters his fifth year of teaching here at IBSB, having previously spent four years teaching in years three and four in England. He qualified as a primary maths specialist in 2014, retraining following a twenty year management career in the leisure industry. Geoff has four adult children and, when not at school, enjoys listening to music, watching films and going to the cinema, walking, and performing as a DJ! 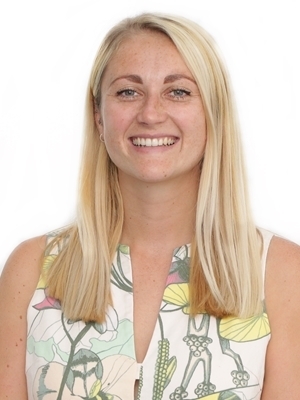 Emilia joined IBSB in 2018 as an energetic teacher with plenty of experience in primary years, including six years in a number of other international school. She says she has a great passion for her work and wants to help children develop the necessary skills to guide them further in life. She believes that every child is unique and promotes positive educational techniques. She is confidant, and warm, bringing a sense of calmness to the classroom. In her spare time, she likes to write stories for children, from which they can learn new and good things, to read and plays the drums. This is Evi’s 1st year teaching at IBSB having taught previously in Greece, Germany, Brazil and the UK in a variety of situations. Growing up in a small seaside place called Amfilohia in Greece, near the Ionian Islands, music was always present in her life. Evi has been playing the piano for 23 years and considers it a lifelong project. She continues her education following seminars of piano performance and music psychology from universities and music academies around the globe. She has spent a big part of her life travelling in order to experience culture and music in different settings and has been performing classical music as a solo pianist as well as in chamber music ensembles around the world. She says ‘Every year I learn something new about a different part of the world and with it more about myself as music surrounds us always in everyday life.’ Evi enjoys sharing her passion for music through teaching practical skills, such as playing piano, singing and writing music while integrating all aspects of music and other art forms. Outside of teaching her interests include dancing, specifically ballet, and she likes to swim, watch films, and spend time in nature. 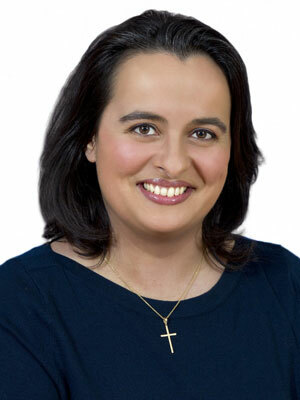 Andreea Cazacu, or Adi as friends call her, joined IBSB in 2010. She has a bachelor degree in Accounting and Management Information Systems from The Bucharest University of Economic Studies (ASE) and attended the Financial Audit and Counselling master programme until she decided she likes better working with children more than with numbers. Mathematics, however, remains a passion which explains why she enjoys running maths clubs and helping to organise the Maths Kangaroo Competition in the Primary School. Andreea says she is looking forward to facing the challenges of a new academic year, because life is always interesting when working with children. Outside school, Adi loves to have fun with her family and friends. She also likes watching films, reading and dancing, but since she became a mother she says these things happen a little less often. Jack joined IBSB in 2017, having taught in the UK for four years and at an International School in Iasi for a year. He was born and raised in rural Yorkshire, England, and attended Sheffield Hallam University where he earned a degree in Primary Education..
Outside of school, Jack is a keen cricketer and is hoping to instill this passion into our school during extra-curricular sessions. He also has a passion for travelling and is looking forward to exploring the beautiful landscapes that Romania has to offer. 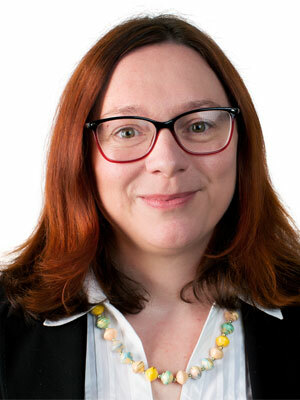 Johanna first joined us in 2005 as a teacher of Italian and has since that time extended her role to include Head of Social Sciences, Teacher of Sociology and Psychology, Coordinator of the CAS Programme and Coordinator of the Duke of Edinburgh Programme. She is also involved in assisting students with University Applications. Involvement, care, and responsibility are some of the values that Johanna espouses, working with students to provide every member of our school with the opportunity to achieve and to make a positive difference. For this reason she was awarded the ECIS Teacher of the Year Award in 2011-12. Both in and out of the classroom, Johanna has one of the biggest smiles on campus and no doubt will continue to enrich the lives of both staff and students at IBSB. MA Social Justice and Education (Institute of Education, London), BA Sociology and Anthropology (Goldsmiths, London) PGCE post-compulsory. Iona joined IBSB in 2017 to teach Sociology in her first international teaching post. Originally from Wiltshire in the South West of the UK, she has lived most of her life in East London in the UK and has taught in several London Colleges and Sixth forms. Iona worked in educational support and youth work prior to training to be a teacher. She started out teaching English, adult literacy and study skills to adults and worked for eight years at an FE college in Tottenham, London. Following this she decided to move into teaching A levels with a focus on her specialist subject, Sociology. 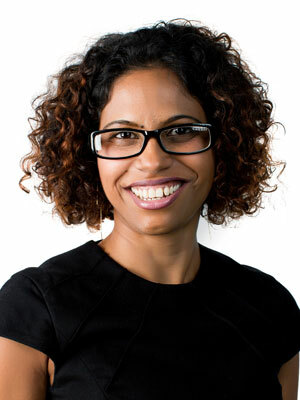 She believes sociology helps students to look differently at the world, giving them the valuable analytical skills needed to thrive in higher education. Outside of school Iona enjoys watching films, is a keen musician and enjoys making music with others. She is interested in all types of music, including folk and world music. She is excited about continuing her expeditions to different places in Romania and is keen to learn more about Romanian culture and history. 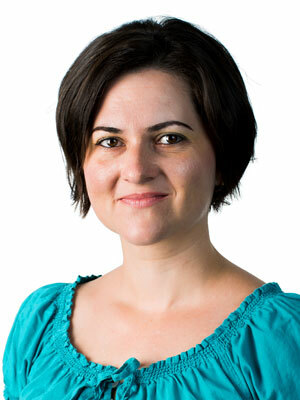 Mihaela has been teaching Biology for 14 years (most of which she has spent in IBSB). She graduated from the University of Bucharest, Faculty of Biology, with a degree in Genetics, which she still finds fascinating. Her aim is to inspire her students with the same passion she has for the subject from their first year in the senior school until they graduate, and her students‘ grades show that she is certainly achieving her aim. She is also the Head of Science, overseeing admissions tests for science, and is an active supporter and volunteer in our schools Community Action Service programme. She is a chair of the Environment Committee, working at improving the quality of our schools ecological background and increasing awareness and understanding of global issues, and can usually be found in the science rooms offering students extra help in her free periods. 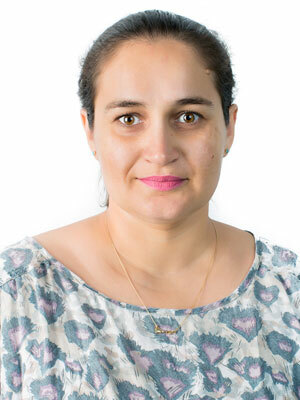 Cristina is a good example of a lifelong learner, having graduated from the University of Timisoara, Faculty of Mathematics with a degree in Mathematics and ICT, before continuing on to complete an MBA whilst working at IBSB. She has also completed a course in International Hospitality Tourism Leadership and during the summer break works in Greece as a tour guide. She joined the school in 2004 and is a teacher that has the ability to get the best out her students. She is a Form Tutor, the Secondary School Clubs Coordinator, and in 2014 was promoted to Head of Department, which will certainly keep her busy. She says her passion in life is travelling, and so most school breaks she is off somewhere enjoying other cultures, making friends wherever she goes. Simon arrives to us directly, from Bristol in the UK, where he was teaching geography, humanities, and economics. He completed his degree at Plymouth University in geography and his teacher training in Cheltenham. Simon says he loves teaching geography as it teaches students all about the world around them and how to interpret the human and physical connections in our environment. As a geographer, Simon is very excited to arrive in Romania to experience all it has to offer, such as the mountains and the lower course of the Danube, as well as the developing economy in Bucharest. Outside of teaching, he enjoys playing football, currently playing for two 5-a-side teams, reading, and socialising. Simon says he is excited to watch football in Bucharest, but is still undecided which team he will support. In his summers during university, he worked at a summer camp in the USA teaching sailing, so is hoping to be able to continue this past time in the warmer months! Simon is also looking forward to experiencing the pleasures of skiing in Romania. 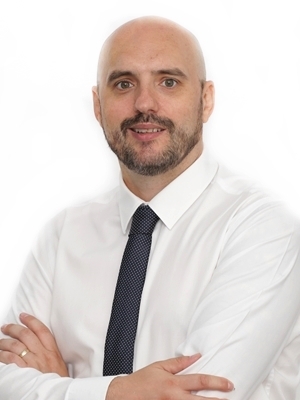 This is David’s 1st year at IBSB, and his fifth position teaching abroad, having taught for 20 years in total in a number of situations, including both Primary and Secondary state schools in the UK- prior to teaching, David worked in the Pharmaceutical and IT industries. He has travelled to Bucharest from Mexico with his pet family, Dixie the dog and Zara the cat. His interests include sailing, diving, and all forms of travel adventures. He says he is looking forward to teaching KS3 Science and KS4 Physics, helping the students at IBSB successfully progress in their science education. 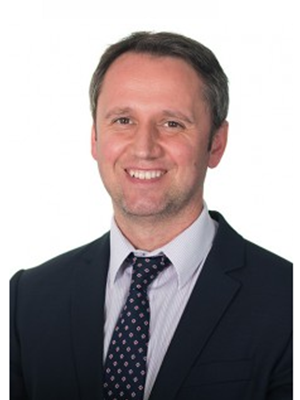 Paul joined IBSB in 2014 with over twenty years teaching experience, including twelves year at Rendcomb College in Gloucestershire as Head of English were his department achieved an outstanding academic record. He has a depth of knowledge and experience across Key Stages 3-5, is a CIE examiner, and has tutored numerous Oxbridge candidates to success in English. He has extensive experience with the UCAS system, pastoral care, and extra-curricular activities, and has run public speaking and debating clubs, along with a whole host of other activities and events, from a twelve-hour sponsored marathon badminton event and soccer tours to Holland, to a public relay-reading of ‘Paradise Lost’! When not at school Paul enjoys photography, cycling, reading up on history, and all sports, particularly football. He also loves travelling and says he can’t wait to explore the many mysteries of Romania! As the daughter of diplomatic parents, Blessy grew up travelling the world and attending international schools before coming to Romania, so she is well-placed to relate to our students and challenges they face. She says that moving from the standard private Indian schools to an international school was quite the exhilarating experience- with Model United Nations, speeches, drama, inter-cultural events and so many other activities that the regular private schools did not offer. In addition to teaching economics and business studies, Blessy will also run the Debate Club, and will be involved in supporting university applications and student mentoring. Believing in the potential of all students and maintaining the view that success is more about hard work than ability, Blessy will continue to play a key role in supporting and guiding our students as they work toward achieving their dreams. Maria Orban joins the IBSB PE Department as a former professional tennis player and member of the Romanian National Team for 8 years, with many national titles to her credit. She studied at the National University of Physical Education and Sport in Bucharest, focusing on athletics and coaching, whilst starting a career as a tennis coach at Champions Club teaching children of various ages, but focusing mainly on 6-10 year old children. Having completed a Bachelor degree in motor performance, she is now ready to move into her first full-time teaching position, whilst continuing to study for her Master’s degree at UNEFS, specialising in physical education in school. Irina is our Reception Teacher in the Primary School, having joined IBSB in 2010. She has a double degree in English and French from the University of Foreign Languages and Literature, with a MA in Linguistics. Irina believes that IBSB is the place where children feel safe, secure and above all feel like they are in a family environment. The curiosity, enthusiasm and humour of young children is a constant motivation and inspiration for her teaching. Irina has one of the biggest smiles on campus and as such brightens up the day of those around her. Away from school, Irina likes spending time with her family and friends and also enjoys reading. Jayne joined our team in 2016 to teach Business Studies. She gained her teaching degree in 2007 after a change in career from being an International Trade Manager for a British bank. 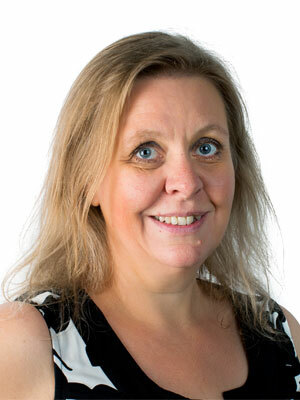 Once qualified Jayne undertook her first two years of teaching in Bristol; her home city, in a Sixth Form College. In 2009 she moved to her first international teaching post in Bahrain. After five years as Head of Faculty, she moved to a new challenge in Thailand, joining Regents International School as Head of Department and University Applications Coordinator. She was able to expand her horizons in teaching the IB Diploma Programme alongside IGCSE and A Level in Business Studies, Economics and Accounting. Outside school, Jayne enjoys spending time with her family, travelling, going to the cinema, skiing and cycling. After spending time in the Far East she also wishes to discover more regarding meditation, mindfulness and yoga. Francisca, originally from The Netherlands, arrives to us fresh from the Dutch Caribbean. When she was aged one, her parents decided to go to Curacao, an island in the Dutch Caribbean, where they lived there for four years. Later, when Francisca was 25, she returned to the Dutch Caribbean to live and worked as a mathematics teacher at local schools on the islands St. Eustatius and Curacao, and for the last six years has been teaching at a private school in Curacao, during which time she successfully completed a Master of Education degree. Outside school, Francisca likes swimming, going the gym, watching movies, reading, and travelling. Her passion however is singing, having been a member of both a rock band and a disco band. She has also played acoustic in restaurants, with a repertoire that consists of pop, disco, funk, country, and rock songs. 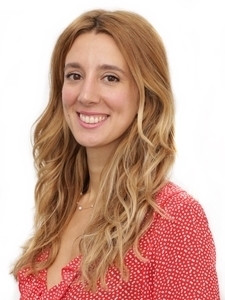 Lorena joined IBSB in 2013 as the teaching assistant for EYFS, having worked as an English teacher for 2 years in public schools and 1 year in an international school. 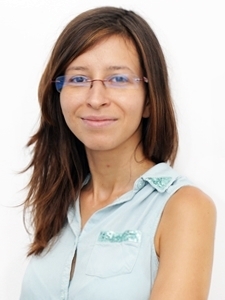 She has a double degree in Romanian and English from the University of Bucharest, with a MA in Universal Literature. She has practical work experience, with seven years experience as an assistant manager of BCR, but says she enjoys working with children much more, leaving banking to return to teaching. When not at school, she enjoys spending time with her family and travelling. This is Emily’s 1st year at IBSB, having previously taught in Scotland, England and South Korea. She is looking forward to sharing her love of learning with her year 4 class, and with her science and debating clubs, and is excited to be a member of the IBSB team. Her interests include reading, travelling, and cooking. She also loves exploring the natural world, over mountains and under seas, and is excited to experience the beauty that Romania has to offer. This is now Peter’s tenth year teaching at IBSB. 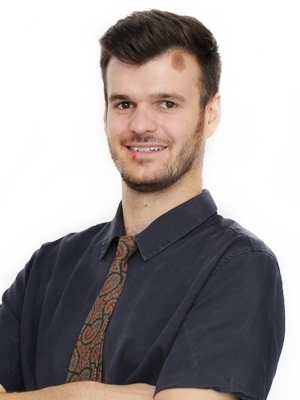 Peter hails from Wirral (just outside Liverpool) and he completed a degree in English Language and Literature before completing his PGCE and moving to Romania to teach at IBSB. 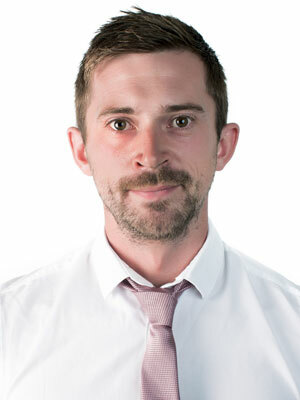 He has taught years 4, 5 and 6 during his time with us and is the Key Stage 2 Coordinator and as such a core member of the Primary School Middle Leadership Team. He also runs the Primary School Student Council and organises literacy-related events such as World Book Day as part of his role as Literacy Coordinator. In ten years, Peter has picked up enough Romanian language skills to survive in Bucharest and has travelled all over the country he now considers home. This is Angharad’s 3rd year at IBSB, and her first teaching position abroad, having taught in Wales for two years before arriving at IBSB in August, 2016. This year she will teach Year 1, having taught Year 4 for the past two years. She has a degree in Welsh from Cardiff University and a PGCE from the University of Wales Trinity Saint David. Her interests include music, and coming from Wales there is a strong tradition of choirs and dance- something she has been sharing with the students here at IBSB as she directed the Winter Show last year. She also enjoys travelling and taking part in adventurous sports. Paul has been at IBSB since the school opened and as such is one of the school’s founding staff. He is responsible for implementing all aspects of the Primary School P.E. Programme, including the after school swimming club. He is a qualified water polo coach and a physical fitness coach, and was himself a professional water polo player, having won the Romanian Championship twice and the Romanian Cup once with the Steaua Bucharest Water Polo Team. Presently he is a first class water polo referee and has started coaching the IBSB Water Polo Team. He has also organised the first interschool triathlon and again competes in this sport himself on a regular basis and is a national champion in the team relay. If this was not enough, Paul is also the Romanian record holder for the fastest time to swim the English Channel and is now pursuing his dream to complete the open water endurance swim challenge, starting in America next year. Outside school Paul is a busy father of two and when not playing with his children uses most of his time to train and as such is a great role model for any students hoping to pursue a life in sport. Ana Maria takes departmental responsibility for the teaching of Romanian Language and Literature throughout the Primary School. 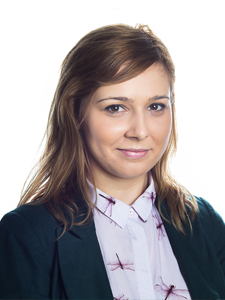 Originally from Slobozia and graduating Bucharest University, Ana Maria has been with IBSB since 2007 and compliments our impressive band of linguists and is an exceptional teacher. She can be relied upon to get the children and staff up to perform a hora at school events; she is passionate about Romanian culture. A specialist in Romanian with French, with a Masters Degree in Theory of Literature, she has seventeen years teaching experience, and has published three literature school books. An endless well of knowledge and energy, Ana adds to life on campus in many ways beyond just the classroom. Ioana is the Year 1 Assistant Teacher and one of our Spanish and Non-Native Romanian teachers in the Primary School. She joined the IBSB team almost four years ago. She graduated from the Faculty of Geography at the University of Bucharest, and has a Masters Degree in Tourism Management. Describing herself as an extremely optimistic and determined person, Ioana says she is excited to be working in an international environment because she has the chance to constantly learn new things. Outside school she enjoys spending time with friends, travelling, and reading. 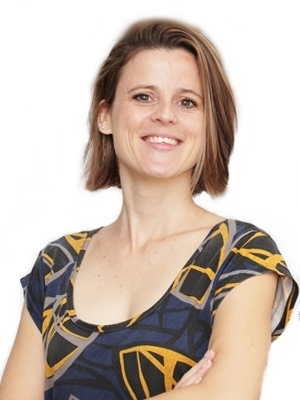 Luiza joined the IBSB team almost nine years ago after eight years of teaching in other international and state schools. This year she is the Year 5T Assistant Teacher and the EAL teacher for Key Stage 2 in the Primary School. Luiza graduated with a joint degree in Romanian and English language. She enjoys working with children, having a genuine interest in helping not just the most talented but also the less inclined to achieve their full potential. She believes that the art of teaching lies is the art of assisting discovery. 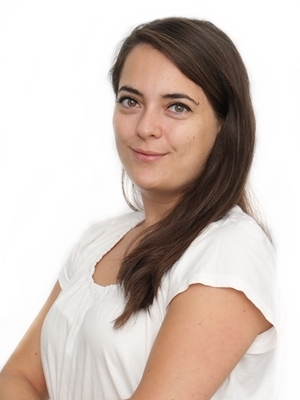 Luiza completed a Teaching Assistant NCFE qualification in 2013. Her hobbies include reading, travelling, exploring nature, learning about new cultures, roller-skating and listening to music. Luiza also loves animals, owning a playful dog. Laura is our latest arrival to the IBSB Secondary School Art Department. Arriving to us from Bristol in the UK, where she was teaching art across the full age range and photography at A-level, Laura says she is excited to be relocating to Bucharest to teach at IBSB. She completed a foundation diploma in art and design and then a BA hons in Photography at University of Wales – Trinity St David’s. Laura loves to visit galleries, reading, ceramics, listening to music, photography, travelling and languages. Laura is originally from Wales and is bilingual in both Welsh and English. Before completing her teacher training, Laura taught in the North of Spain for a year and then in Barcelona for her second year, picking up some Spanish language along the way. Laura believes that art inspires ideas, encourages creative thinking, and offers insight into an ever-growing, exciting industry. Oana is the Year 4M Assistant Teacher and an excellent EAL teacher for the Primary School with very impressive results in her department. She is also an important member of the Middle Leadership Team. She graduated from the Faculty of Foreign Languages and Literature, and has been teaching for the past 17 years in both Romanian and international schools with students of different ages. Oana is an enthusiastic and self-motivated teacher who enjoys working with children and says she couldn’t imagine herself doing anything else. 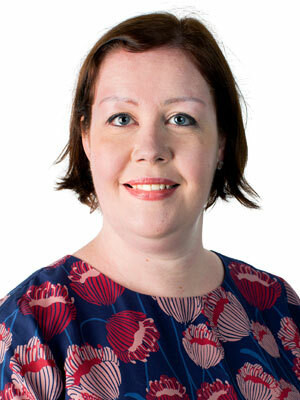 Having completed her Teaching Assistant NCFE qualification in 2013, she is now involved in developing the knowledge and skills of her colleagues through regular CPD sessions. Away from school, her hobbies include travelling, reading, and cooking. Madalina joined our team in 2015, having graduated from the University of Galati with a degree in French and English Literature. Before deciding to return to Romania, Madalina had been working as a teacher in an international preschool in Poland. 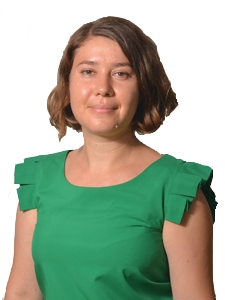 This year Madalina is the Assistant Teacher for Year 2 and also teaches French to Key Stage 1 children. She is one of the friendliest members of our community always happy to help. When not in school, Madalina loves travelling the world and enjoys reading and going to the cinema. 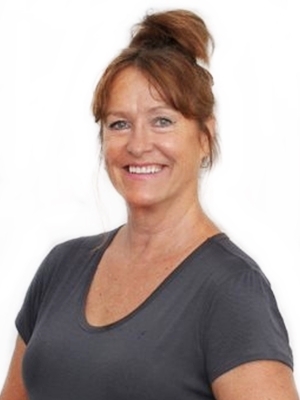 Andrea has been with the school for 9 years, and is currently teaching Key Stage 3, 4, & 5 English, having achieved outstanding exam results at both Checkpoint and IGCSE level. Originally from Oakville, Ontario, Canada, Andrea has over twenty-five years of teaching experience, including 16 years teaching at a private American School in Puerto Vallarta, Mexico, where she enjoyed the bilingual and bicultural aspects of the curriculum along with the opportunity to learn Spanish and more about the Mexican culture. She is an avid traveller and lover of exotic cuisine, using her school breaks to travel to far distant locations. In addition to teaching English this year, Andrea will continue in her role as TIV Coordinator. Darren joins us from Leicestershire, England, where he worked as a Lead Practitioner for Mathematics and an Assistant Head of Mathematics. Before then, Darren worked at an International school in Rome. Mathematics has always been a huge part of Darren’s life and career, where after obtaining a first class degree at Sheffield University, he went on to do research at Glasgow University on Differential Geometry. It was during this period that Darren caught the “teaching bug” and went on to become a successful teacher in the UK for over 13 years. Outside of teaching, Darren is a huge football fan (and a follower of Leicester City) and plays as a 5/6 a-side goalkeeper. He also enjoys playing pool, keeping physically fit through a variety of means (anything from Yoga to HIIT training), and enjoys time with his lovely wife and new baby daughter. Rodica returns to us this year from maternity leave to work as a German teacher full-time, working with our A Level and IGCSE students. 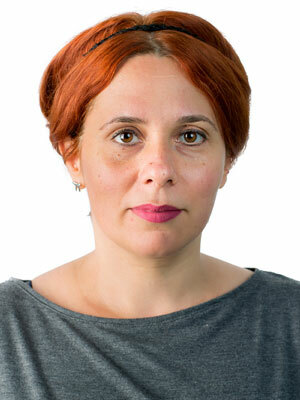 She is a graduate of English and German from the Bucharest Faculty of Foreign Languages and Literature and has a Master’s Degree in the English Translation of Literary Texts. This is Rodica’s ninth year at IBSB. She describes herself as a quiet but determined person who loves to travel and to engage herself in new, exciting life experiences. Ioana is our linguistically adept German teacher. She graduated from the University of Bucharest, completing a Master in Literary Studies, before going on to work as a German Teacher, as well as a teacher trainer. A passionate teacher, she strives to continuously develop her teaching skills as a lifelong learner, attending development training courses for teachers both in Romanian and abroad. She says of teaching, that she likes personalising learning and adapting materials to her students’ needs, creating new activities to make the lessons more interactive, fun, and efficient for all levels. 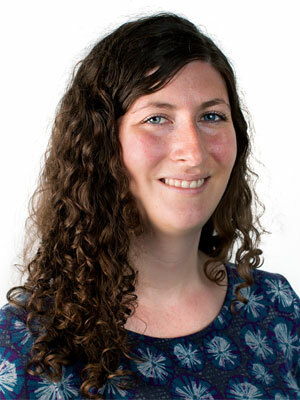 Aurora is a key member our Modern Languages Department with responsibility for the delivery of the Spanish curriculum for KS3 and an Assistant Form Tutor for Y9S. Following graduation from the University of Bucharest, Aurora taught in the Romanian system for over twenty before eventually joining our team in 2010, and since this time has achieved outstanding results in both IGCSE and A Level exams. In addition to her academic responsibilities, Aurora also helps on the CAS Programme and recently organised a very successful Key Stage 3 trip to Valencia. Aurora says she enjoys her work at IBSB and she loves teaching the language of Cervantes, taking every opportunity to approach Spanish culture. 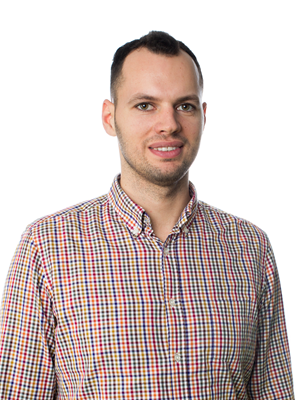 Silviu joined the Science Department in 2014, arriving to us from the University of Bucharest where he was a lecturer and supervising student work up to Phd Level. He is one of those rare breeds of students who was able to maintain a perfect academic record, graduating top of his school and top of his university, receiving the Romanian Government Merit Scholarship during MS studies and the Romanian Government Scholarship also during his PhD studies, along with several grants to study abroad at the Universität Karlsruhe (Germany), the University of Manchester (UK), and the University of Pavia (Italy). He has published numerous articles in his field and been involved in a number of international projects, and as such has a wealth of experience and both practical and theoretical knowledge to share with our students. He also has a passion for Chemistry and a sincere love of teaching, which makes him a great addition to our team. When not lost in the world of Science and Chemistry, Silviu can be found enjoying time with his family and reading. Silviu has also a particular interest in digital photography and recently had some of his work on display at two photo exhibitions. Alina is always a happy and smiling face around IBSB and has made a home for herself here. She is our TA for Year 3O and also the KS1 German Teacher. She studied foreign languages in University and has a passion for teaching in the MFL department. She has also taught French at IBSB. Alina has just returned to work after her 2 year maternity leave and is enjoying life as a busy new mum. She really loves children and takes time to get to know her students well. In her spare time she enjoys reading and visiting with friends and family. 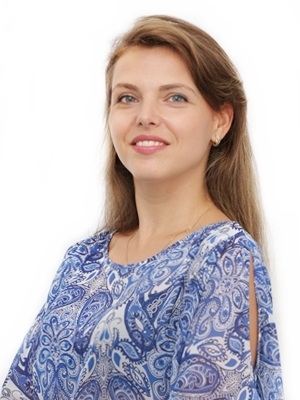 Alina has been at IBSB for 7 years and is a helpful and dedicated member of the team. She is looking forward to another great year and to working with colleagues and students both old and new! Bachelor of Science (Hons) Business Information Technology Management (Manchester Metropolitan University); PGCE Information Communication Technology (St Martin’s College Lancaster). Originally from Manchester in the UK, Bohdan has been teaching for over fifteen years, both in the UK and internationally for the past twelve years. His first five years teaching internationally were in Bucharest, which he says he enjoyed tremendously. He then moved on with a desire to see more of the world, working in a number of countries within the Middle East and Asian regions, before eventually returning to Romania in 2017. His main passion is teaching ICT and Computer Science, sharing his knowledge and experience with his students. Being from Manchester, his other passion is football. You’ll have to guess which football team he supports. He is also an avid motorbike rider and programmer. When not at school, Bohdan spends most his free time with his wife and beagle, and enjoys working on DIY projects around the home. 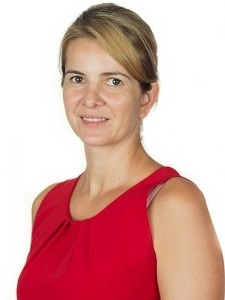 Loredana, was a mathematics and physics teacher at IBSB from 2005-7, and having taught at a number other international schools over the past eight years, including three years at an international school abroad, she returned to IBSB for her second term in 2014. 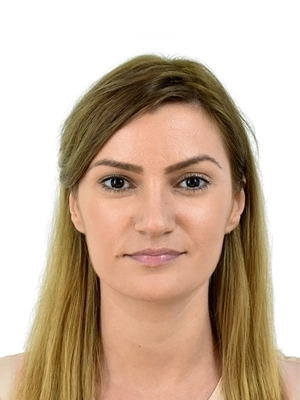 With eleven years teaching experience, teaching both the English National Curriculum and the IB Programme, Loredana has much to offer our students, and will no doubt put her knowledge and skills to good use in taking on the responsibility of teaching both IGCSE and A Level Physics, including A Level Mechanics. When not in school teaching her students, Loredana is most likely to be found spending time with her family, and where possible travelling as she enjoys visiting other countries and meeting new people. Ciprian is our Secondary School Physical Education Teacher, and one of our longest serving staff members, having joined the school close to its official opening in 2000. He is a teacher who has over the years played an important role in the lives of the students who have passed through this school. 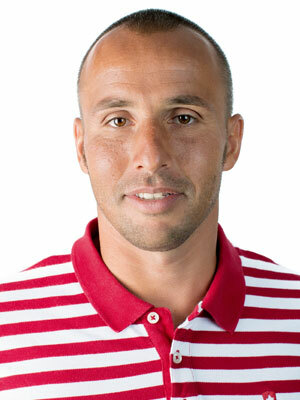 He is a specialist swimming coach, Judo coach, and alpine ski coach, with success achieved in national competitions. In addition to running PE lessons, the after school swimming club and football club, Ciprian also organises and coordinates a number of interschool sports events. When not teaching, he can usually be found working on his training programme or enjoying conversation with the students, and is one of our more popular staff members on campus. 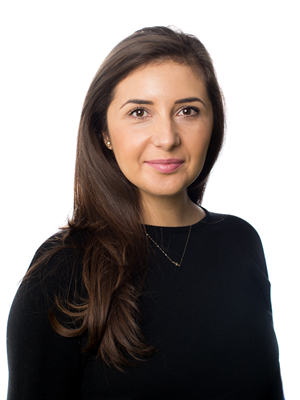 Elena joined IBSB in April 2006 as an Economist, quickly becoming a valued member of the office team, handling the day-to-day planning, implementing, managing, and controlling of all financial-related activities. 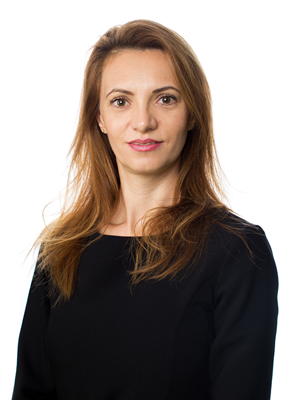 A graduate from the Faculty of Financial Management Accountant, University of Spiru Haret, she completed her academic studies with a Master Degree in Audit and Financial Business. In her free time, Elena says she likes to relax, with much of her free time spent reading books and watching movies. Cristina joined IBSB in 2016 with experience from her time working in the financial department of a multinational company. She has a double degree in Business Management from the Bucharest University of Economic Studies and a LLB from Romanian-American University, followed by Business Management and Accountancy postgraduate studies. As a financial analyst, her responsibilities involve the collection and maintenance of financial data, insuring a smooth operational flow. She thinks professional life adds to your life in many ways, building confidence & a sense of achievement. 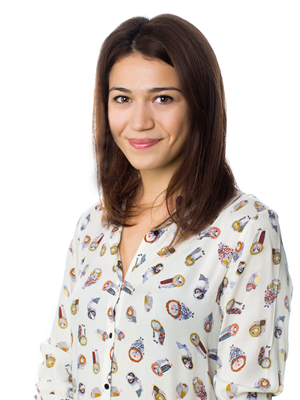 Cristina describes herself as well-organised and a person who is always looking to improve. Outside work, she enjoys meeting new people, watching English movies, studying art, and traveling. 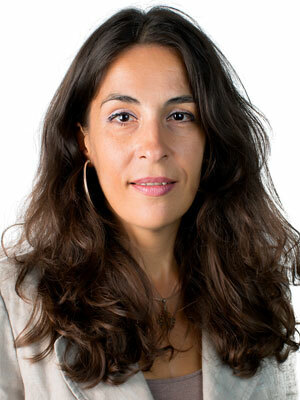 Flori joined IBSB in September 2000 as one of the original team members, and as such has seen the school grow from just 9 students to more than 350 today. Originally joining the team as a teaching assistant, Flori took some time out in 2010 to have her first child, returning to work in the school office as the Admissions Officer, and is now also involved in PR. After 16 years of work at IBSB, surrounded by students, staff, and parents, Flori says she feels like IBSB is her second home. When not at school, she likes spending time with her family, travelling, and discovering different places, cultures, and people. She enjoys reading and doing sport and can be found more recently participating in many of the school Triathlons and Marathon events. Claudia joined IBSB in August 2017 having been an active member of the PTF for the past five years, including 4 years as the PTF President where she took the lead in coordinating a variety of successful school and extracurricular social events. As the Head of Admissions and Corporate Communications, Claudia has much to offer with over 20 years’ experience working in multinational companies in advertising as Head of Marketing for B2B and B2C, with DÁrcy and McCann, where she was responsible for advertising for Telecom, FMCG, Finance and Electronics brands, in Finance & Banking with Western Union, BRD, BCR, MasterCard, and in Utilities at Tinmar Group. As both a parent and a lifelong learner herself, Claudia has always maintained an active interest in education and is excited to be joining IBSB at a time when the school is expanding quickly, with many projects on the horizon. When not at school, Claudia enjoys travelling, reading, writing, painting and discovering new things together with her 10 year old daughter. Ana first joined IBSB in September 2001 as a teaching assistant, after graduating University. She then moved from the classroom to the office, bringing with her the experience of the classroom, taking over the responsibility for organising school lunches, school transport, after school clubs, trips, and events. Whether in the classroom or the office, Ana says that working at a school is a fulfilling experience as the children teach you so much about discovery, imagination, curiosity, and joy. Outside school, Ana enjoys spending time with her family, travelling, going to the cinema and cooking for friends. 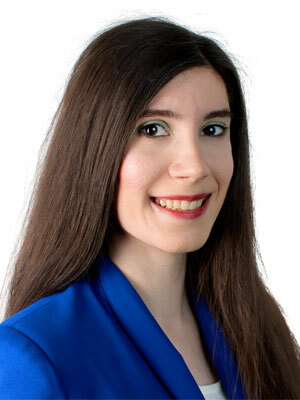 Iulia joined IBSB in March 2007, as a graduate from the Faculty of Law at University of Spiru Haret, where she completed a Bachelor and Master Degree in Law and Public Administration. On a day to day basis, Iulia brings not only a warm friendly smile to the school, but a wealth of knowledge and experience. 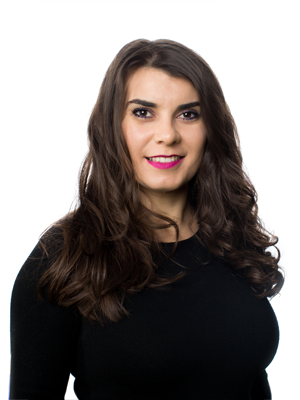 As a lifelong learner, Iulia has continued to develop her knowledge since joining the IBSB team, attending HR and Safer Recruitment courses and seminars. She plays a primary role in regard to ensuring safer recruitment policies and procedures re followed, and assisting new staff and their families to settle into life here in Romania. 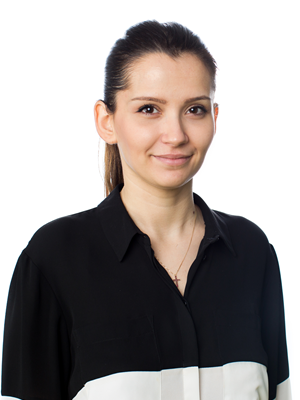 Outside work, Iulia enjoys travelling and exploring beautiful countries and meeting new people. She also enjoys skiing, photography, and spending time with her husband and her friends. Cornelia has been the school doctor on our campus since 2009. 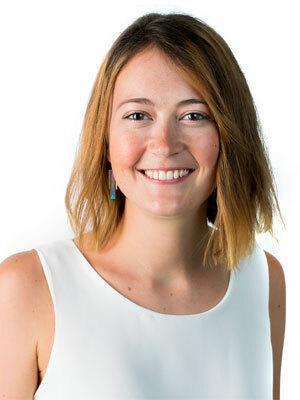 After graduating from university, she acquired experience working with children at St Macrina and in hospitals for 4 years before opening her own private practice. She introduced immunization to our school for those parents who wish for them. Her responsibilities in the school include helping to identify SEND children, supporting the PSHE Programme, and developing counselling programmes, including both individual and group counselling for children and parents. Some of her other interests include music, travelling, and reading. Florin is our IT Administrator. He joined our team in 2009 and is responsible for the smooth running of the IT system in the school. In addition to ensuring that all our school servers, computers, tablets, electronic whiteboards, and printers are running smoothly, Florin is also involved in a host of other jobs, including maintaining and updating SchoolBase (the school MIS), issuing reports, and maintaining all staff and student accounts, which added together means that he is usually the last staff member to leave school each night. Outside school, Florin enjoys spending time with his family and friends, watching movies, and keeping up to date with the latest innovations in technology. Dan joined IBSB in January 2007 and since this time has been involved in various areas of support across the school. In his current role as IT Technician he is responsible for the smooth functioning of IT devices (computers, smartboards, tablets, electronic whiteboards, projectors, printers etc.) and software in our school, saying he is always happy to offer support to our staff and students in their day to day encounter with the IT equipment on campus, and does so with a warm, welcoming smile. Outside school, Dan enjoys spending time with his wife, travelling, listening to music, watching movies, playing video games, staying in touch with technology, swimming, running, bike riding and skiing.